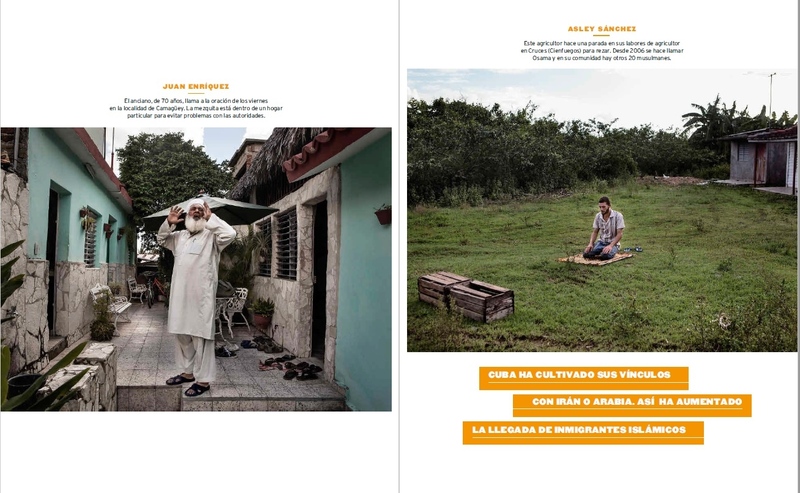 Cuban Muslims was featured last Sunday in the pages of PAPEL, the weekly magazine of El Mundo newspaper. 10 pages with a wide edition of photos, and a several brief texts together with them. As a photographer, and in terms of graphic treament of the images, this is just great. PAPEL is one of the magazines with larger distribution in Spain, and probably the one with nicest graphic design at the moment. I’m happy and I take this as a very good step.